Armoured Ford F550 provides a reliable and Heavy Duty platform for a Cash Transit vehicle. Easily accommodates the crew of 4 people and useful payload. With a flexible platform for various pick-up conversion alternatives, the F-550 is ideal for handling loads of high level armor material. The V10 Triton 6.8L SACT and 5 speed Automatic Transmission runs this preferred vehicle for long distance Cash-In Transit operations. Along with the standard functions of four disc brakes with ABS, Climate control, AM/FM Radio and power steering. 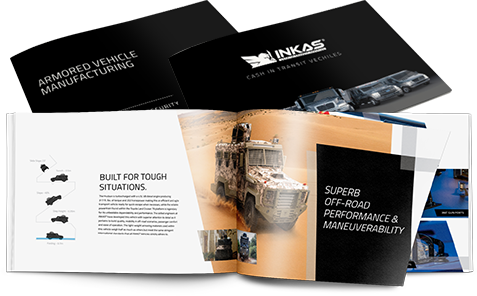 INKAS® offers a vast selection of upgrades and accessories to customize this vehicle. List price $108,000. Special price $85,000.